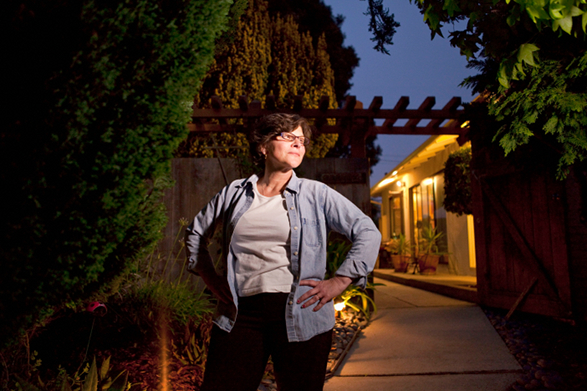 Charlmaigne Chavez-Thibodeaux at her home in San Bruno, CA. Photo by John Noltner. Charlmaigne Chavez-Thibodeaux recalls a Louisiana childhood filled with lalas (Creole music dances) and boucheries (hog-slaughter parties). “Everybody would get together and make cracklings, sauce piquantes, couvillions—anything you could think of with a pig,” she says. “And boudin. And hoghead cheese. Somebody would always bring an accordion or a fiddle or a combination, and we would listen to them play music.” In 1966, when she was a teenager, she and her family moved to the Bay Area, where they reconnected with fellow Creoles at church dances and social clubs. Her parents also held parties in their basement—at the same house where Chavez-Thibodeaux lives today. Chavez-Thibodeaux is a great lover of Creole cooking, which she has taught at the Augusta Heritage Center of Davis & Elkins College in West Virginia. In this outtake, she talks about cooking for Danny Poullard, the accordionist who performed at many early church dances and who taught a new generation of musicians at his garage jam sessions.